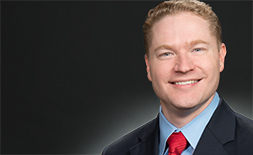 Evan Stephenson's practice focuses on insurance, commercial, and personal injury trials and appeals. In each of these areas, Evan has secured outstanding results. 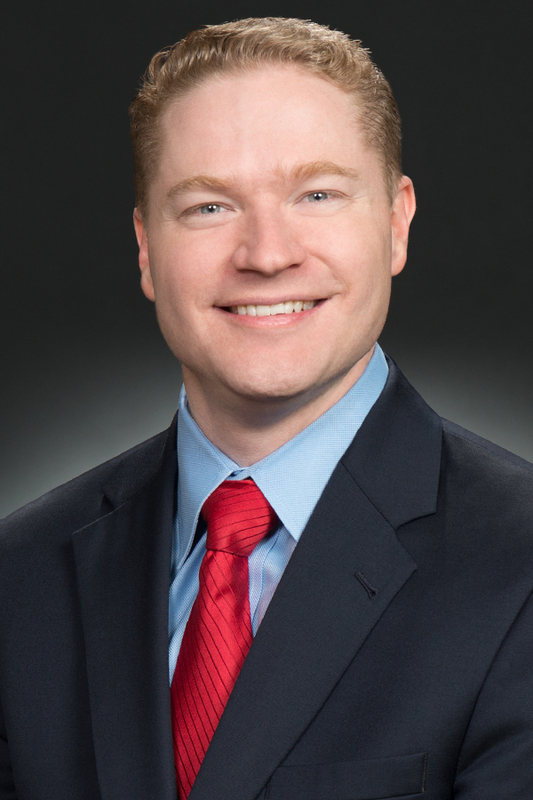 Evan has been selected to Best Lawyers in America for insurance litigation, and Colorado Super Lawyers has named him a Rising Star since 2012. Evan is an elected member of the American Law Institute. Sunflower Condo. Assn. v. Owners Ins. Co., No. 16-cv-02946 (D. Colo. 2018) - Won a federal jury verdict in a trial for an insurer pursuing counterclaims against a homeowners association that filed an inflated insurance claim and sought more than $5 million in total damages. The Court entered judgment for the client for the full amount that had been paid in benefits, plus interest and costs. Endless Sales, Inc. v. Certain Underwriters at Lloyd's, London, No. 18-cv-00598-MSK-MEH (D. Colo. 2018) - Obtained a "walk away" settlement in a multimillion-dollar property damage case one day after filing a motion for summary judgment. The motion argued that the commercial property policy's "financial interest" limitation barred all claims. The client prevailed without incurring expert costs and without taking or defending a deposition. Snyder v. ACORD, 2019 WL 319407 & 2016 WL 192270 (D. Colo.) - Represented seven codefendants in a property insurance class action lawsuit in Colorado. Plaintiffs claimed they were systematically underinsured in a "monumental" conspiracy, in violation of federal RICO and antitrust laws, and involving virtually all property insurers in Colorado as well as industry trade groups. WTO served as liaison counsel and argued the successful motion for the fee award of more than $1.5 million. Won a motion to dismiss with prejudice a putative class action brought against a Fortune 50 insurance company. The court ruled that the client's standard form accurately described the nature of underinsured-motorist insurance coverage and could not support any claim against the client as a matter of law. Phoenix v. Heska, 2017 WL 3190380 (D. Colo. 2017) - Won the first ever summary judgment order within the Tenth Circuit enforcing the client's Telephone Consumer Protection Act exclusions. The court ruled that the client owed no duty to defend an underlying class action as a matter of law. Warne v. Hall, 373 P.3d 588 (Colo. 2016) - Assisted in winning a ruling from the Colorado Supreme Court requiring Colorado state courts to apply the Twombly pleading standard. WTO co-authored an amicus brief for the Colorado Civil Justice League urging the Court to adopt "plausibility" pleading in Colorado to discourage forum shopping and improve the Colorado justice system. Allstate Ins. Co. v. Med. Lien Mgmt., Inc., 348 P.3d 943 (Colo. 2015) - In this groundbreaking decision, the Colorado Supreme Court reversed a ruling in the Colorado Court of Appeals against Allstate. The supreme court held that medical-lien companies' contracts purporting to assign to them a portion of a claimant's future injury settlement are not true assignments and cannot be enforced against liability insurers. Burnham v. Allstate Indem. Co., No. 14-cv-32652 (Arapahoe Cnty. Dist. Ct. Colo. 2015) - Obtained a ruling that a breach of contract by the insurer is a prerequisite to asserting a bad faith claim and dismissing all claims because Allstate complied with its property-loss-appraisal procedure. GK's Gym, Inc. v. Northland Ins. Co., No. 14-cv-30621 (Larimer Cnty. Dist. Ct. Colo. 2014) - Won a motion to dismiss all claims, including for statutory penalties, for failure to state a claim. The Court ruled that WTO's insurance company client had correctly denied coverage for a sexual assault on the basis that it was not an "occurrence" under a general liability policy. King v. Allstate Insurance Co., No. 11-cv-00103 (D. Colo. 2013) - Following a seven-day trial, the jury returned a complete defense verdict against a nationally renowned plaintiff's bad faith lawyer in a multimillion dollar excess judgment case. Before the King trial, WTO's opposing counsel had never lost a bad faith case. The jury returned with a defense verdict after deliberating for less than two hours. Fann v. Hartford Underwriters Ins. Co., 2013 WL 3927664 (D. Colo. 2013) - In this insurance bad faith case, Evan orally argued several discovery motions seeking sanctions for the plaintiffs' discovery conduct. The Court ultimately agreed and imposed issue sanctions. Franklin D. Azar & Associates, PC v. Ferguson (Denver Cnty. Dist. Ct. Colo. 2012) - Obtained ruling holding that the Azar firm's employment agreement impermissibly restricts the right of departing attorneys to practice law, and rejecting the Azar firm's claim that its "playbook" for litigating cases is a "trade secret." Allstate Ins. Co. v. von Metzger, 774 F. Supp. 2d 1157 (D. Colo. 2011) - Obtained summary judgment in favor of WTO's client based on an insurance policy's pollution and business exclusions. Cowan v. Stovall, 645 F.3d 815 (6th Cir. 2011) - Won a ruling from the U.S. Court of Appeals for the Sixth Circuit that overturned the trial court's verdict in a federal habeas corpus appeal by WTO's pro bono client. Allstate Property & Casualty Insurance Co. v. Salazar-Castro, No. 08–2110–CM, 2011 WL 1668966 (D. Kan. 2011) - Obtained partial summary judgment for Allstate and dismissal of the opposing parties' affirmative defenses and their claims for underinsured motorist benefits. After a single day of trial, the defendants agreed to a stipulated judgment in Allstate's favor. Evan argued and won two key issues on the first day of trial that helped end the case in the client's favor. "Just Win, Baby: The Tenth Circuit Rejects the "Anything Goes" Tactics of the Hail-Litigation Gold Rush," 96 DENV. L. REV. 267 (2019). "Will the Colorado Supreme Court Prevent a Potential Statewide Auto Insurance Crisis? The Impact of the Court of Appeals' Decision in Fisher v. State Farm," co-author, Denver Law Review (April 5, 2017). "Survival of the Fittest? : The Origins and Evolution of the Substantial-Similarity Doctrine," The Wayne Law Review (Summer 2011). "Costing 'Early Offers' Medical Malpractice Reform," 7 Engage: The Journal of the Federalist Society Practice Groups, at 155 (October 2006). "Early Offers: An Approach to Medical Malpractice Reform, Contingencies," at 42 (September/October 2006). "Evading the No Child Left Behind Act: State Strategies and Federal Complicity," B.Y.U. Educ. & L.J. 157 (2006). "Alone and Out of Excuses: The Tenth Circuit's Refusal to Apply Federal Rule of Evidence 407 to Product Liability Actions," 36 N.M. L. Rev. 391 (2006). "An Economic Model Costing 'Early Offers' Medical Malpractice Reform: Trading Noneconomic Damages for Prompt Payment of Economic Damages," 35 N.M. L. Rev. 259 (2005). "Hot Coffee - Tort Reform," presented at University of Colorado Law School, (March 12, 2012). DRI's The Voice, "And the Defense Wins," August 12, 2015. Law Week Colorado, "Colorado Civil Justice League Names WTO Associate 2011 "Lawyer of the Year,'" December 20, 2011. Law Week Colorado, "Law Week Colorado's 2011 Up-and-Coming Lawyers," November 10, 2011. 2018 Win for Auto-Owners Insurance Co.